Brookreflections "Neomania" Bromeliad Nursery lies in the heart of 5 acres of sub-tropical, bush style waterwise gardens & native bushland. Surrounded by the abundance of wildlife & blessed with a benevolent climate, beautiful Bromeliads & nature thrive in harmony. Scroll down the page for details on Growing pups, potting mixes & other handy growing tips. 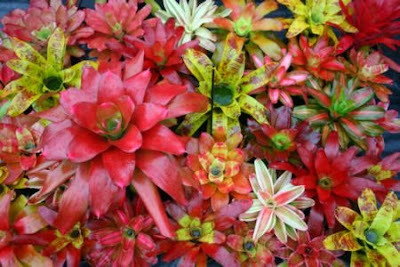 ?Starting a New Bromeliad Garden????? One of the most common Questions I am asked from those New to growing is does my plant flower again-See growing pups for more . Bromeliads & Orchids enjoy similar environment. As seen on EBay- New Hyb. 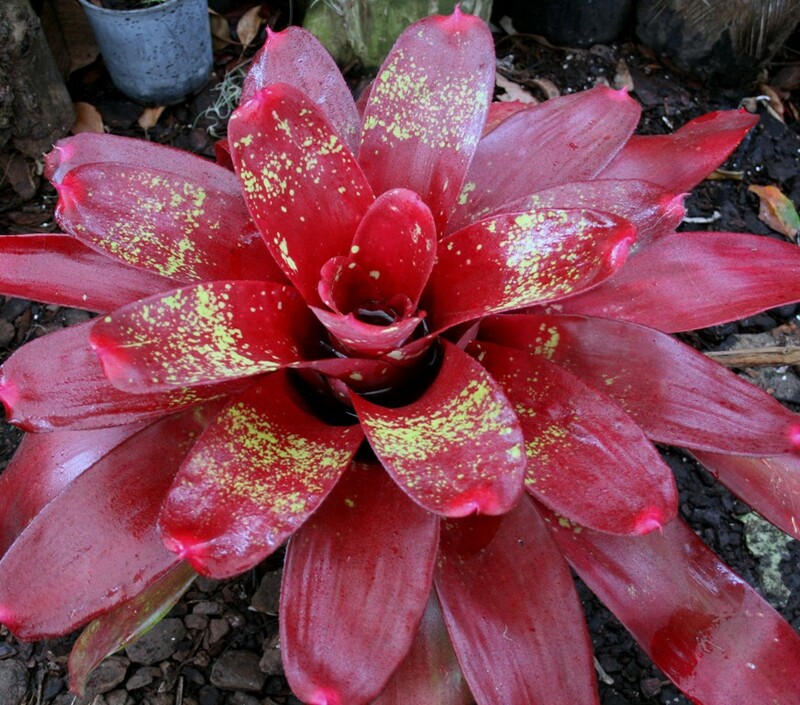 There is a Neoregelia to suit even the fussiest of connoisseurs, their supreme beauty will happily enhance any style of garden. 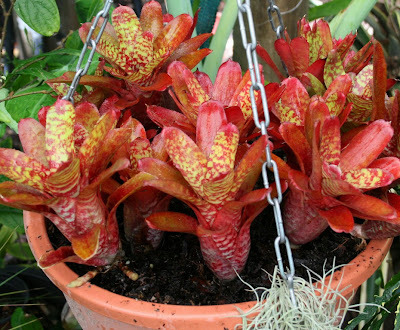 As exotic as these wonderful plants may appear, they are not as difficult to grow as one may think. 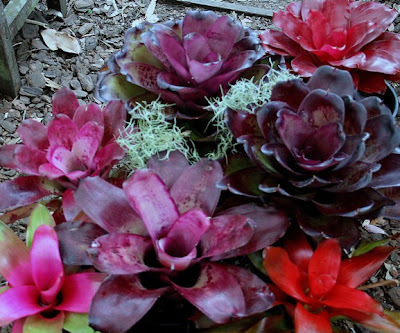 In their ideal environment, Bromeliads certainly take out the 1st class honors for being one of the most forgiving of garden plants. 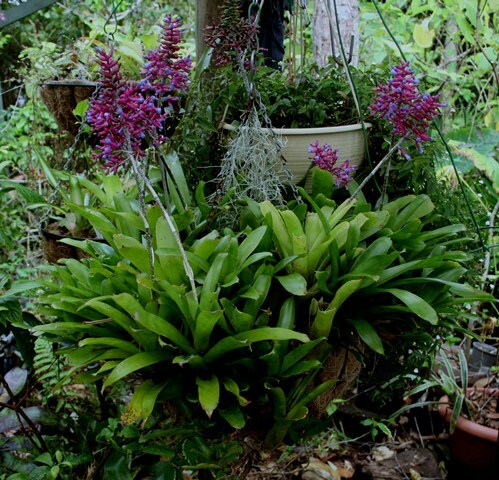 Unlike many of the exotics, ferns + shade house plants, many are so addicted to liquid sunshine that they sadly mysteriously vanish after your weekend away form home. 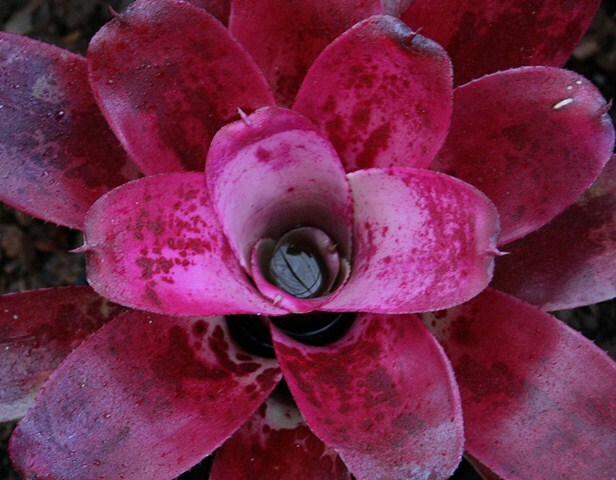 Neoregelias and many other Bromeliads in their ideal environment are great self sufficient survivors. Many even carry their own water tanks and are uniquely designed to catch the maximum rainfall and other nutrients from the forest. 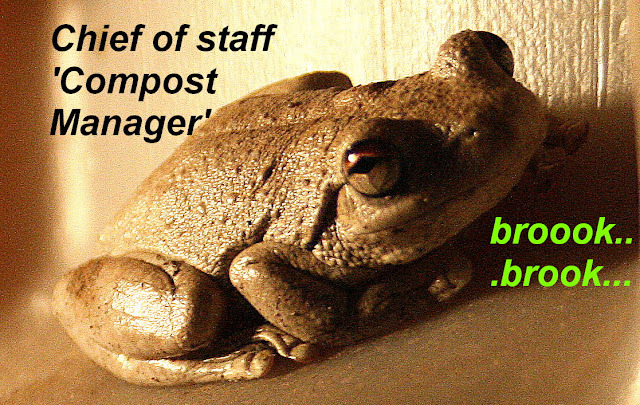 They survive on minimal nutrient. 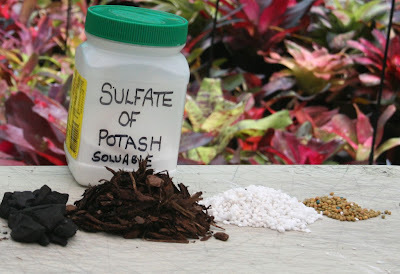 As we don't all have the ideal forest and want our plants to more than survive, in fact thrive, it is ideal to add very small amounts of fertilizer to rooted young plants. After this application, many Neoregelias will not require any further feeding. 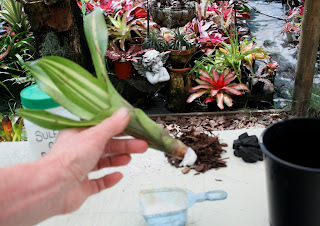 The basic idea is to give them a good boost to start them off and as this nutrition wears off, the plants brilliant rewarding color journey really begins. Light in many ways is essential for the best color in your Neoregelias. It is a good idea to keep new plants in pots, so they can be moved around your garden to maximize the light without burning the plants. It also helps a lot to purchase plants that have come from a well lit environment, other wise you may need to re-adjust them gradually to avoid scorching, especially in the summer months. 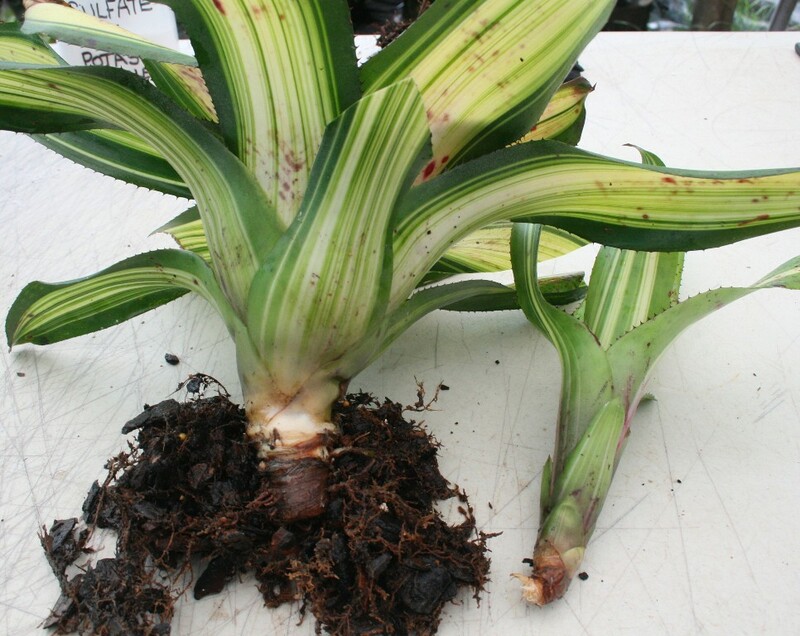 In time your plants will produce offsets or pups. These can be used to increase the size of your collection or swap for new varieties with other collectors. 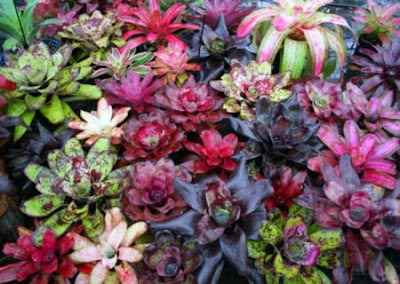 ***New releases that will be available soon, on the market as well as some great favorites, pictured below..
Beautiful blending colors in these stunning Neoregelia. N.Two Tone x Gee Whizz- Grows Huge 1m+. 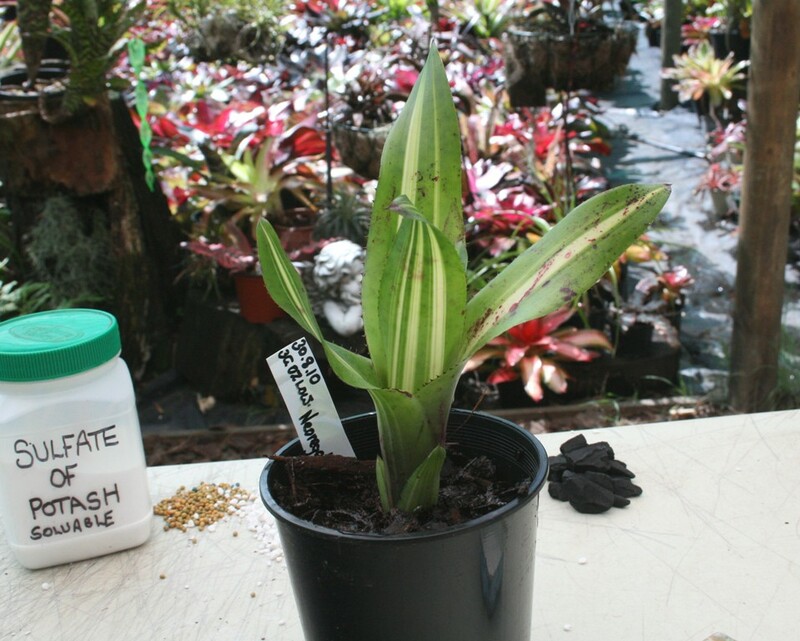 Basic growing notes are also enclosed with plants. *** Potting mix, additives, basic pots + plant tags etc.. can also be purchased on request. *Ideal for those who live in out of the way places where they are unable to access these products. Tip of Knife shows area where to cut. Safely removing pups for growing on. Take care not to cut deeply into the mother plant. The pups should come away leaving only small scar on the parent plant. Sometimes pup may be already rooted which is an added bonus for those in cold climates. Striking can be sometimes slow in the cooler weather. A serrated knife is good for the job. With practice, pups can also be removed by hand holding your thumb + forefinger close to parent- moving to left, right and down, until it breaks away. Extreme care should be taken as pup can easily break away in the wrong place. It is wise to begin with a knife. The example here shows the process on some Neoregelia hybrids. Scar on parent should be minimal. Where the offset or pup has no roots, it can optionally be dipped into a cutting powder or gel. 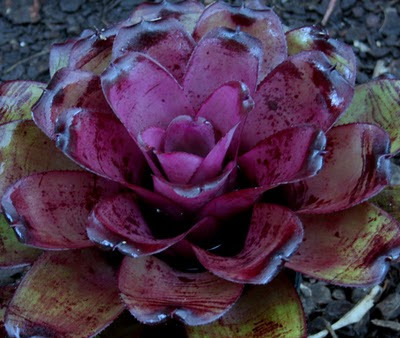 This however is not essential as bromeliads in general are very easy to strike. It may however assist in cooler areas where striking can be slow as the anti fungal properties in these products may help protect your young plant from bacterial infection. 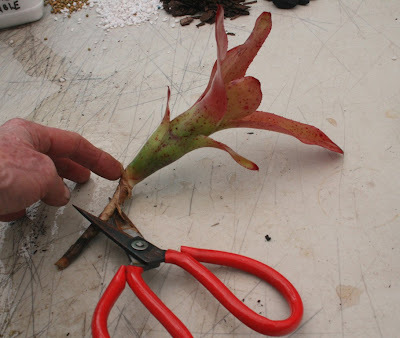 Neoregelia pup ready to pot. 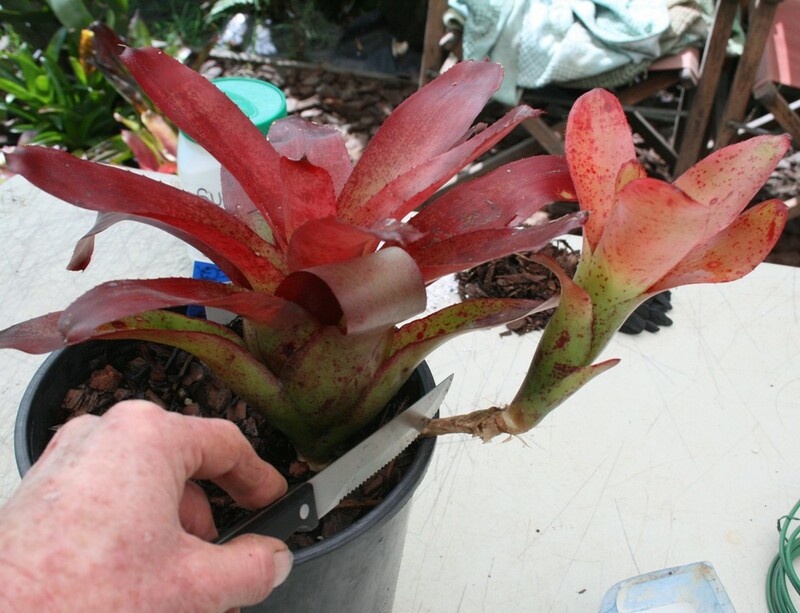 Dipped + ready to pot up, your New Neoregelia plant will strike in around 4-6 weeks in warm areas and 6 to 12 weeks in cooler areas [sometimes longer]. This can vary a lot from one plant to another depending on location and other environmental factors...so these times are very general. 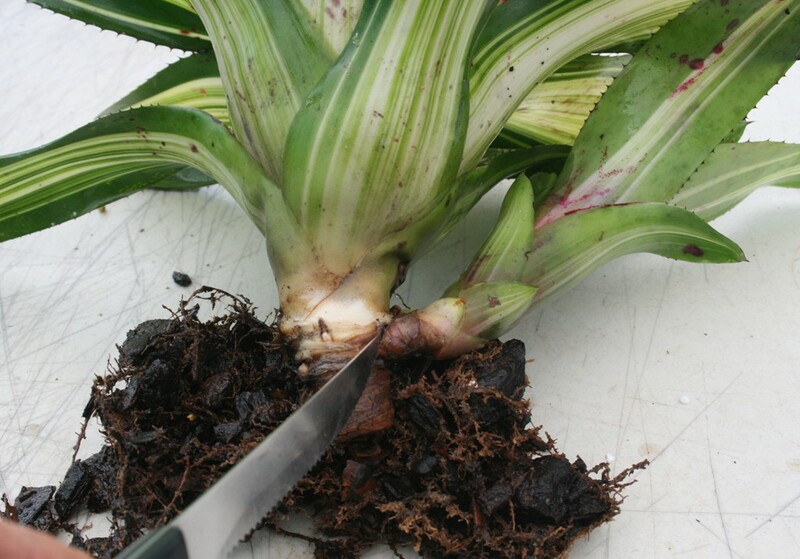 If for some reason your plant has not struck within 8 weeks or so, it can sometimes be helpful to re-dip the plant and change the potting mix for a fresh lot. 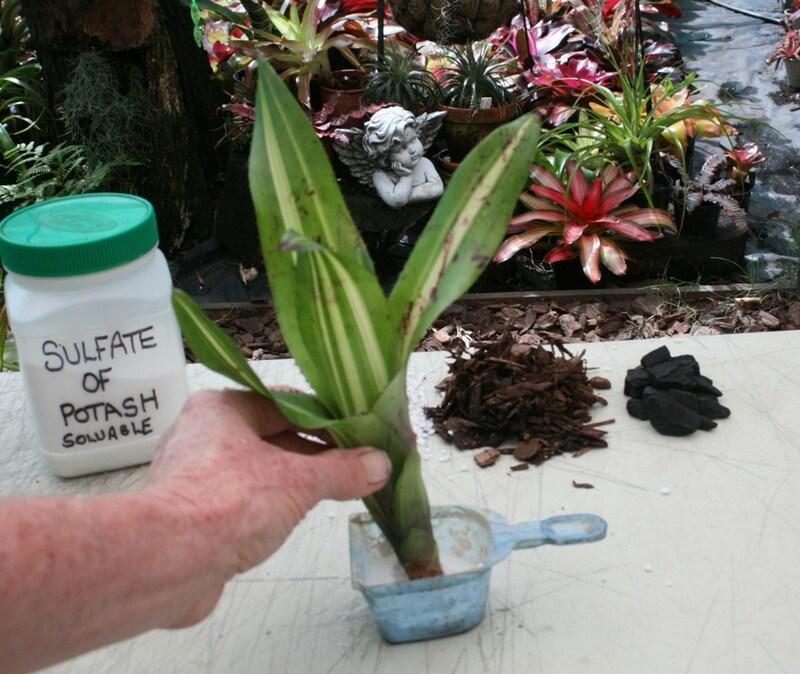 Now potted- label your plant. 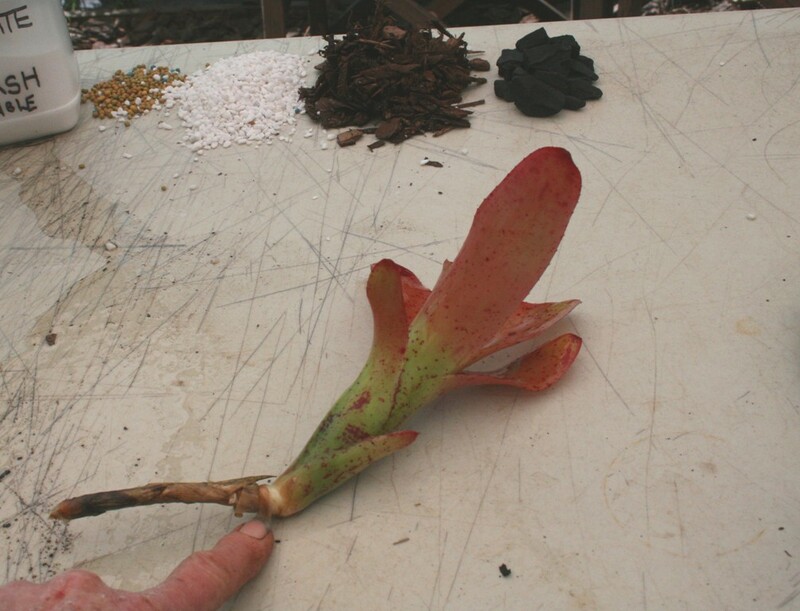 If your plant seems a tad unstable, insert some bamboo satay sticks bush timber or similar, into the pot. 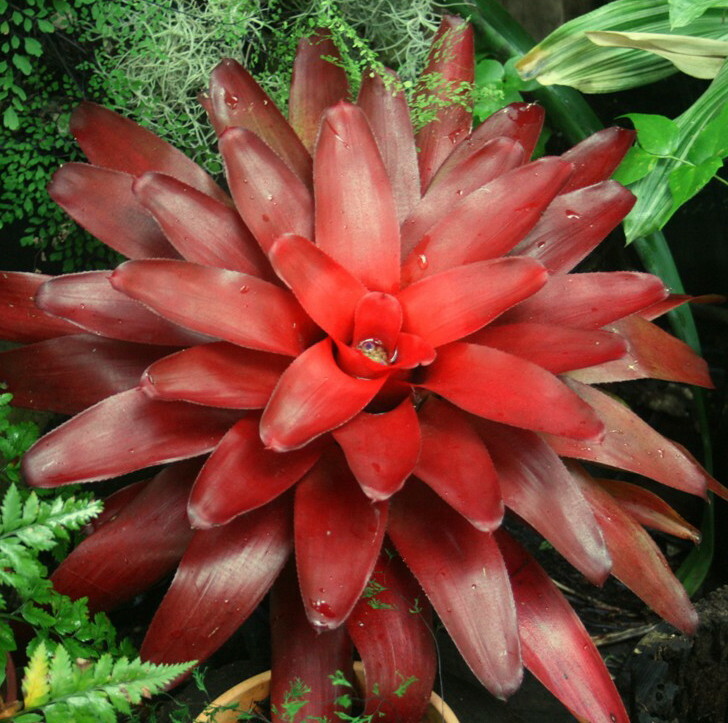 Avoid using any timber products that have been treated in anyway as many Bromeliads are very sensitive to these types of chemicals especially copper which is very toxic to Neoregelia and many other Bromeliads. 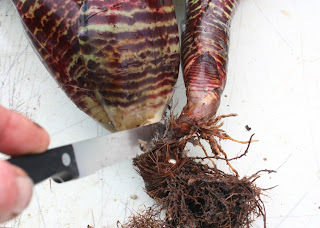 Plants that grow on long stolons can be more easily removed. They can be trimmed as shown below. The roots will appear just below the base of the leaves close to where my finger is pointing. 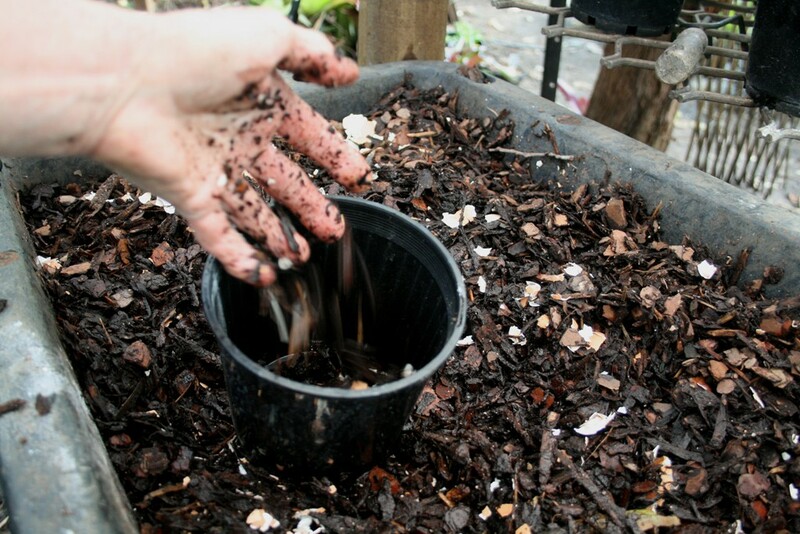 Although many potting mixes are suitable- as long as they are very free draining, some like to mix their own. 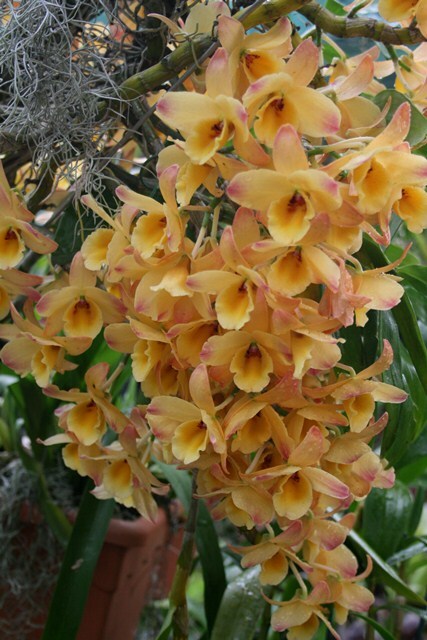 Orchid mix can be used but you may need to add other products if overly chunky to help keep plants moist during the summer months. Some useful additions are shown here. 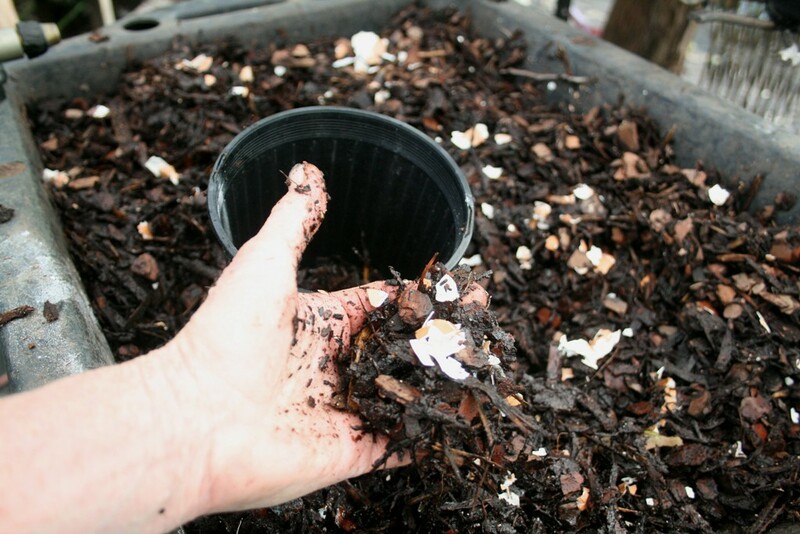 ***Left to right is; Charcoal, composted pine- bark [medium grade] Pearlite, potash + some slow release fertilizer. ***Potash and crushed eggshells are good to add to the potting mix at any stage of potting up. Slow release fertilizer is best added after pups are well rooted + ready to be re-potted. PLEASE DO WEAR GLOVES WHEN POTTING UP! ****Eggshells crushed add calcium to your mix and increase the plants resistance to the cold by helping to firm the leaves. ****Sulfate of Potash added to your mix has good anti-fungal properties as well as promoting healthy roots + good color in your plants. ***Charcoal also has great anti fungal properties. 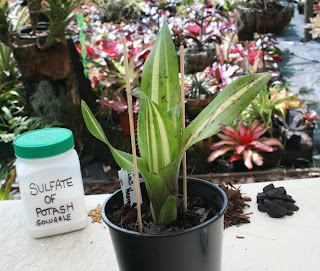 Any of these products can be safely used when potting up your new Neoregelia + most other epiphytic type of Bromeliad offsets/pups. Ground dwelling [terrestrial] Bromeliads, such as Ananas prefer a finer growing medium. 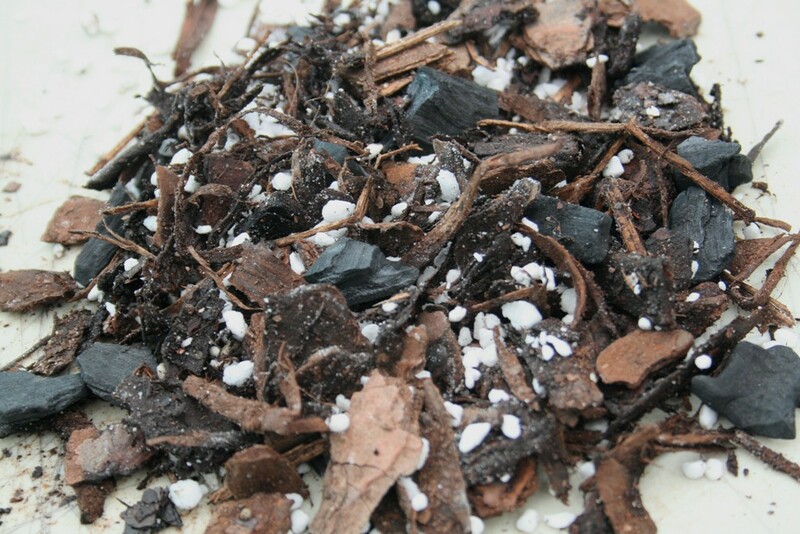 Most of the commercially available Quality free draining mixes are suitable for these. 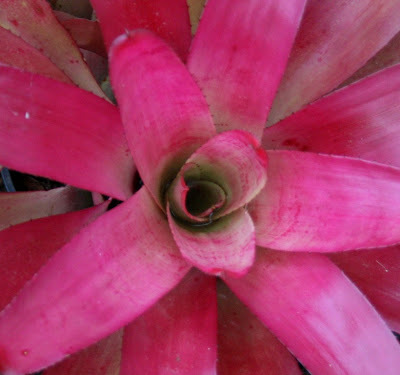 Pests and Diseases are relatively rare in Bromeliads. 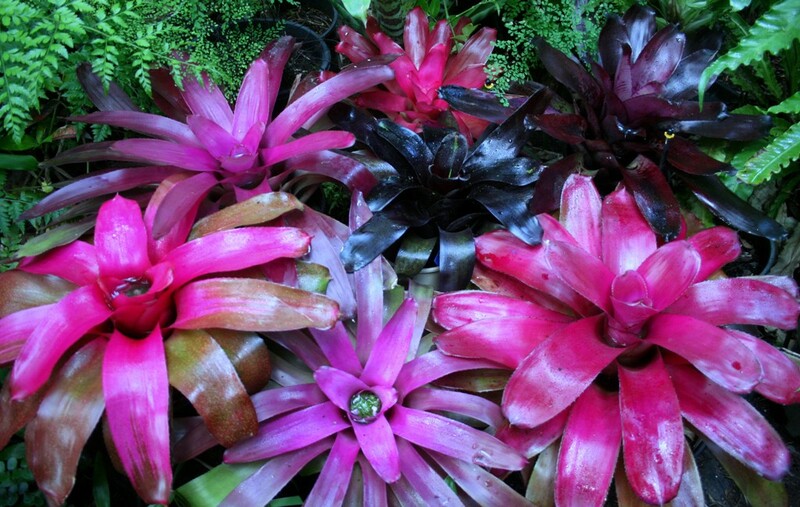 In an appropriate environment with good drainage, air light and humidity Bromeliads are quite resistant to these problems. 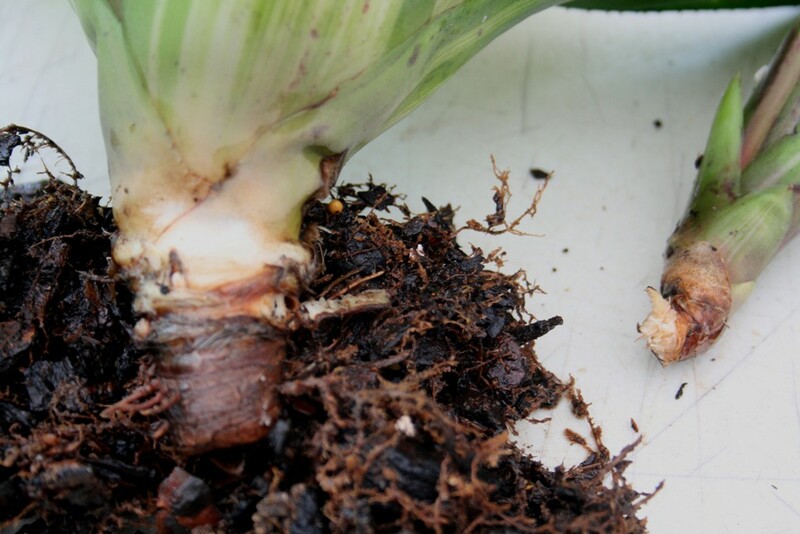 When unwanted insects are discovered it is usually on plants that have been neglected, suffering over dryness, over wet soil, stagnant air, too much calcium and general neglect. 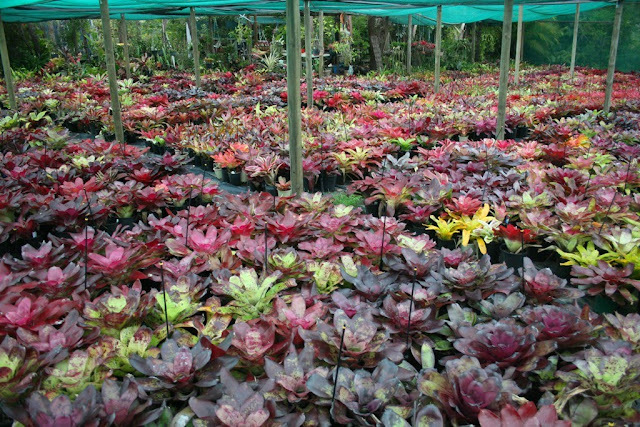 In these instances with early detection problems are easy controlled by treating effected plants appropriately and moving plants more to a happier environment. 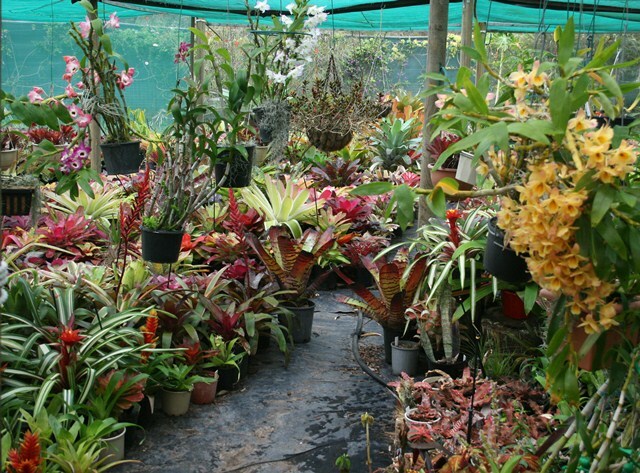 Well maintained, healthy happy plants rarely become effected and the rewards of growing these magnificent plants is rarely burdened by these issues. 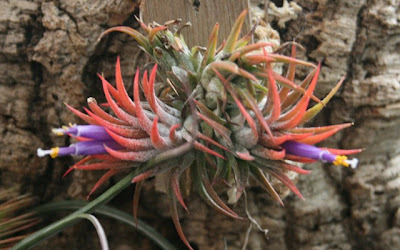 May your New Neoregelias Bloom & grow with beauty & color as they do for me. 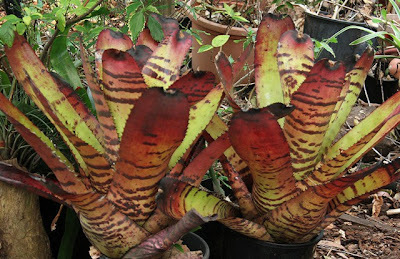 Neoregelias make stunning displays when grouped. 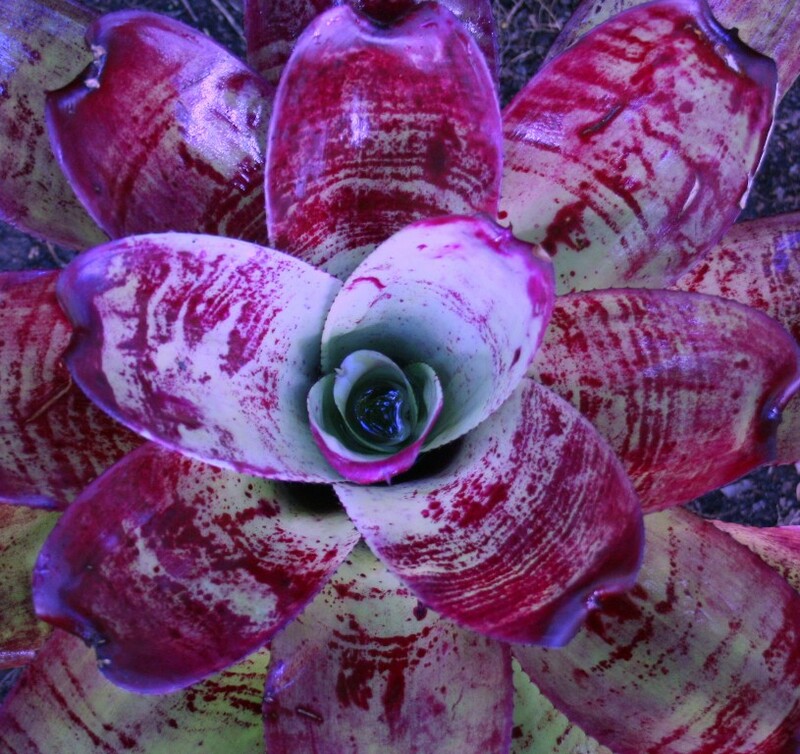 Good light makes the most of their incredible color and beautiful design and banding on the leaves. brookreflections Bromeliad Nursery -images by Deb BR copyright . Awesome Inc. theme. Theme images by RBFried. Powered by Blogger.